This is a square Dragon Portland Cement porcelain sign. 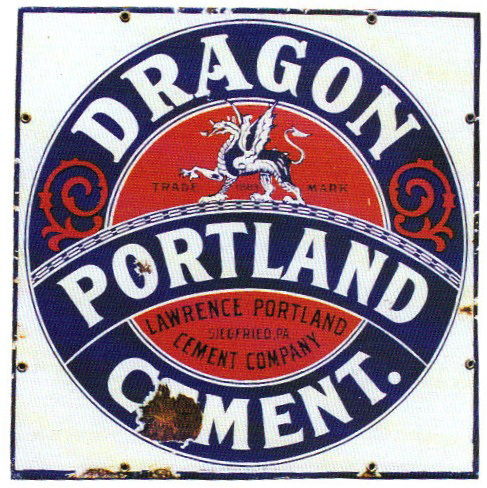 This particular Dragon Portland Cement sign features a blue and red circle against a white background. It reads, “Dragon Portland Cement, Trade Mark, Lawrence Portland Cement Company” and features a dragon in the center.